View basket “Jellystone Jchews Rainbow Stacker” has been added to your basket. Soul Toy Meh Dai Rain is a mini sized meh dai carrier, perfectly suited to all little babywearers! Made from the same baby-friendly 100% pure cotton as other Soul baby carriers, Doll/Toy Meh Dais are perfectly suited for enthusiastic little babywearers everywhere. 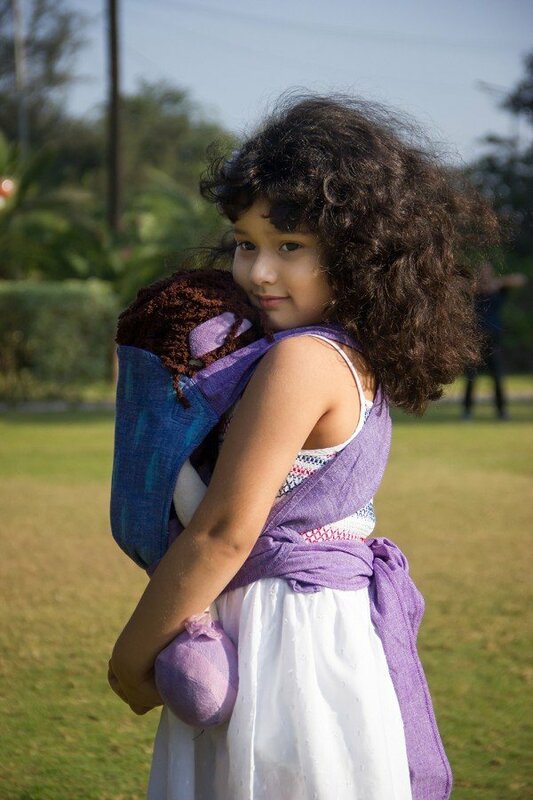 The long straps are wide at the shoulders for comfort, yet easily tied by small hands. The fabrics are sturdy and easily laundered. This is a toy! Do not use this toy carrier to carry a real baby or pet. Please wash your Soul toy carrier in cold water, with a gentle detergent only. Line drying in the shade will keep the colours looking good. Some colour may bleed so initial washes should be separate.